The unveiling of Bellator Kickboxing last week brings Scott Coker back to his roots as a kickboxing and full contact karate promoter. Back in the 1980s, a group of promoters including Coker and ex-Professional Karate Association (PKA) executives established the International Sports Karate Association (ISKA), which was and in some respects still is a premier sanctioning body for sports karate and kickboxing events in the world. ISKA’s two-day U.S. Open is the largest and longest-lived martial arts tournament in the world. The announcement comes as no great surprise to those who have followed the relationship between Glory, Bellator and Spike TV. Spike TV dropped Glory shortly after inking an agreement with Bellator, which tipped off people in the kickboxing world to Coker’s intentions. Although Bellator didn’t win many new fans with their disgraceful event on Friday, the establishment of an avenue for U.S. kickboxers and Nak Muay to possibly compete, earn cash and build a name for themselves is big news. While most of the world prefers soccer to football, Americans barely watch the sport unless it’s the World Cup. A similar situation exists in the martial arts. MMA is huge here, but in its infancy pretty much everywhere else. And although kickboxing as we know it grew out of a need for U.S.-based karate dojos to have full contact tournaments, the sport has declined steadily since its heyday in the 1980s, while flourishing pretty much everywhere else in the world. On the world stage, American kickboxers are very much like their soccer-playing countrymen: scrappy and motivated, but with no real chance to dethrone dominant nations like Russia and the rest of the former Soviet Union. The old Ostbloc is filled with powerhouses, places where kickboxing is supported and funded by the state, organized by both national governments and the World Association of Kickboxing Organizations (WAKO), and can lead to untold riches for champions and gold medal winners. Western Europe also has many champions—particularly the Netherlands—and teams from Turkey, Brazil, Australia and Iran consistently place fighters in the top echelons. But here in the US, amateur kickboxers must navigate an alphabet soup of competing associations and sanctioning bodies (with no pay), while the pros have to fund trips all over the world to train and compete with the best. Even American gold medalists come home to little more than a bit of applause and some noise on social media, then it’s right back to the grind. Kickboxing as a sport arose out of the very same karate dojos often ridiculed today for being out of touch with modern martial arts and ineffective in a real fight. Dissatisfied with point fighting, a group of American karatekas created full contact karate and started competing with each other. They established the PKA and put together a tournament, the World Championships of Full Contact Karate, held in Los Angeles in 1974. The tournament aired on ABC’s Wide World of Entertainment and ushered in a decade of televised full contact karate bouts featuring men like Jeff Smith, Joe Lewis, Bill “Superfoot” Wallace, The Iceman Jean-Yves Thériault, and Isuena Duenas. It was a golden age many fans today didn’t have the chance to experience. Wild striking battles featuring all manner of styles led to the various rule sets we now take for granted. Some competitions allowed fighters to kick above or below the waist, use leg kicks, knees and elbows and some didn’t. People pitted taekwondo against karate and Muay Thai, devised new rules and allowed savate and Sanda practitioners to compete, took notes and tweaked rules until the basic templates emerged for the next generation of fighters. The PKA imploded in 1986 and gave birth to ISKA, which carried the torch on ESPN for another decade or so before internecine bickering shattered the kickboxing world into several competing bodies (WAKO, ISKA, and the International Kickboxing Federation (IKF) among others) as well as a dozen different promotions, like K1, Glory, Lion Fight, Kunlun and many, many more. The rise of MMA in the early 1990s contributed to the decline of kickboxing as well, eclipsing kickboxing as a combat sport and changing the focus of many would-be kickboxers. America’s unique system regarding amateur and pro athletes also played a big role in the diminishing strength of the kickboxing scene. Whereas competitors in other countries might enjoy travel and training stipends, salaries, and bonuses for winning on the international stage, American fighters get zilch unless they fight for a promotion. As kickboxing spread across the globe, Americans found themselves isolated by two big oceans, struggling to take part in the big time kickboxing developments taking place in Europe and Asia. Today WAKO is the dominant sanctioning body outside of the US, while within the US ISKA and the IKF compete with WAKO and a few others for position. WAKO works with national governments to promote the sport and steer kickboxing toward an eventual slot in the Olympics. 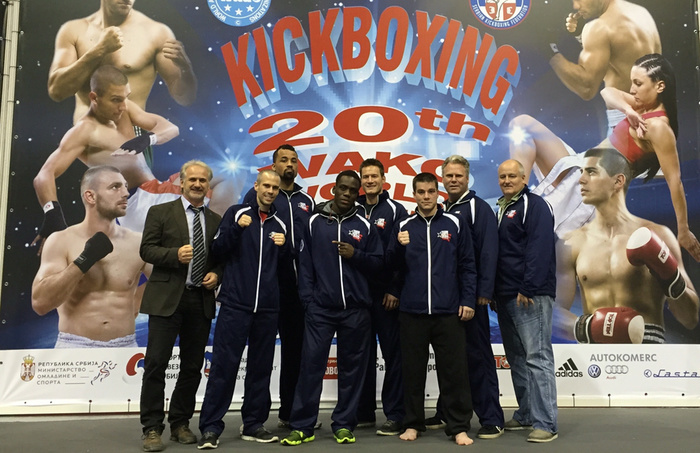 Next year, kickboxers will be able to compete at the World Games, a huge step toward Olympic recognition. The news that Bellator will stage kickboxing fight is especially welcome in the U.S., where kickboxers and Muay Thai competitors basically pay their own way to train and fight. Chris Cichon is one of the coaches for WAKO’s Team USA and it’s his job to not only train the fighters and get them ready for international competition—in the upcoming Pan Am tournaments for example—but also scout out new talent and develop the best fighters the U.S. can offer. 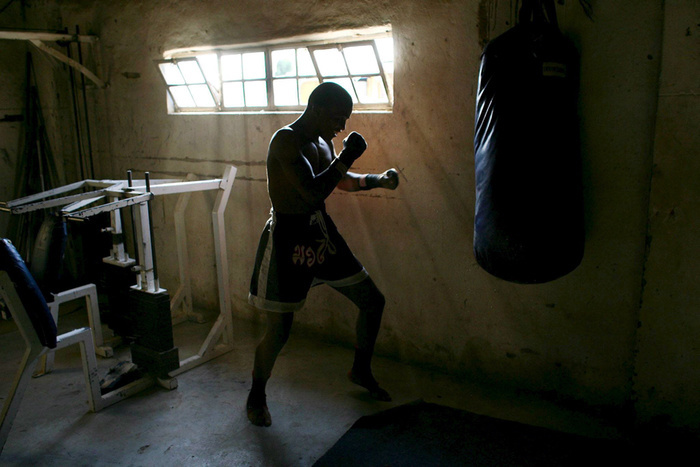 His job is made really hard by the state of kickboxing in the U.S. today. There are a half dozen sanctioning bodies putting on regional tournaments, each with their own tweak on the rules, and most of these tournaments don’t pay any money. The professionals are kept apart from the amateurs as well, which means not only does the developing pool lose out on sponsors and cash, but scouts have a hard time figuring out which fighters can best represent the country overseas. Bellator’s kickboxing foray might help create another platform for kickboxers to compete in, giving them access to pay and sponsors. With Glory and Lion Fight and others, there are opportunities, but still too few to accommodate the strikers coming up. The result is a steady drain of top kickboxers into MMA, stars like Stephen "Wonderboy" Thompson, Robin van Roosmalen, Rico Verhoeven, and Tyrone Spong. Until kickboxing in the U.S. can unify itself and provide real career goals, it will continue to play lag behind MMA and we as fans will miss out on the epic striking battles that punctuated much of the 1970s and 80s combat sport world.